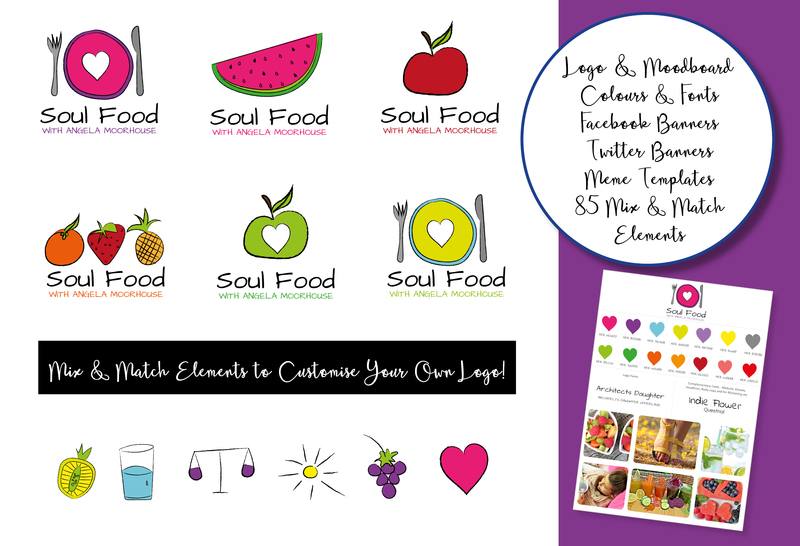 My kits include everything you need to brand your business. And you can easily mix and match all the elements to create your own unique brand. As a branding designer, I know that there are thousands of passionate entrepreneurs out there who want to jumpstart their businesses, stand out from the crowd and start attracting more customers with a beautifully professional brand. 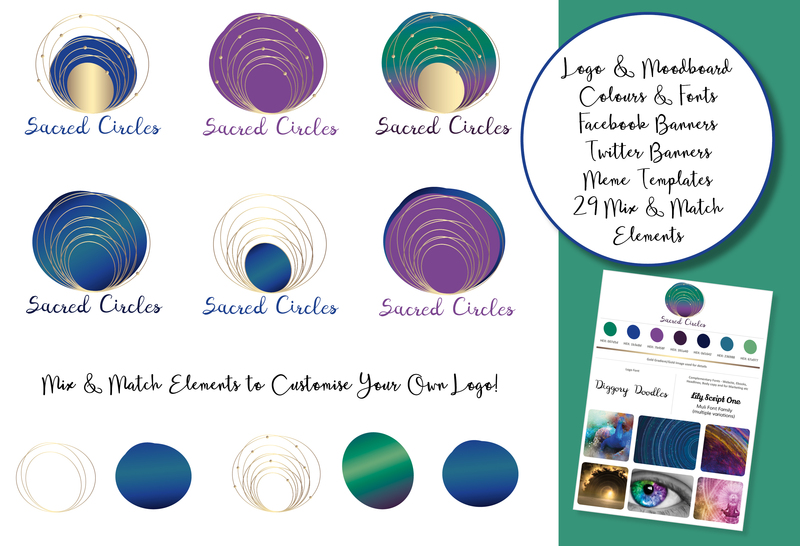 My Magically Branded design kits will allow you to do just that and give you total control over your brand too. Visual Branding really is quite simple, what colours are you attracted too, what is the personality of your brand (excited, calm, supportive, strong, bold, intuitive… insert what your brand is to be), what fonts do I like… oh but then you get lost online and spend a whole day wasted swooning over every font and become totally confused. 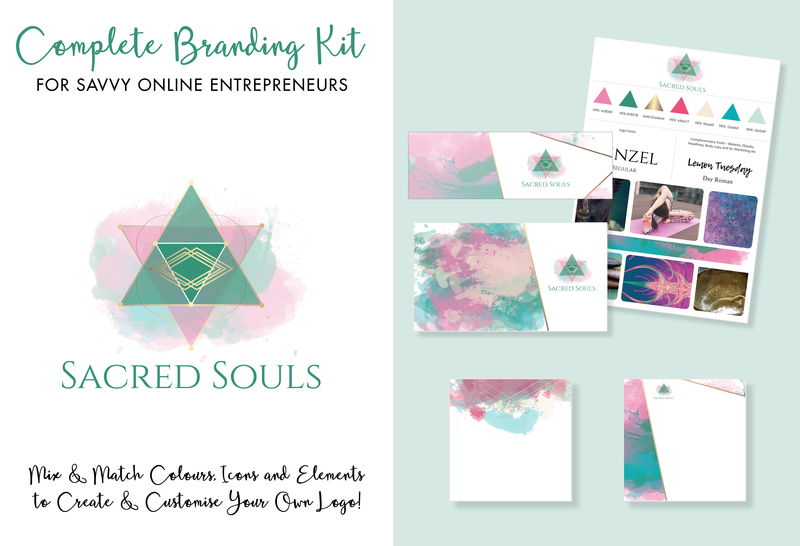 A professionally designed premade brand kit that outlined your fonts, colours – better still HEX codes, imagery, tons of mix and match elements to personalise and create your own brand on your own terms – and you could start today. 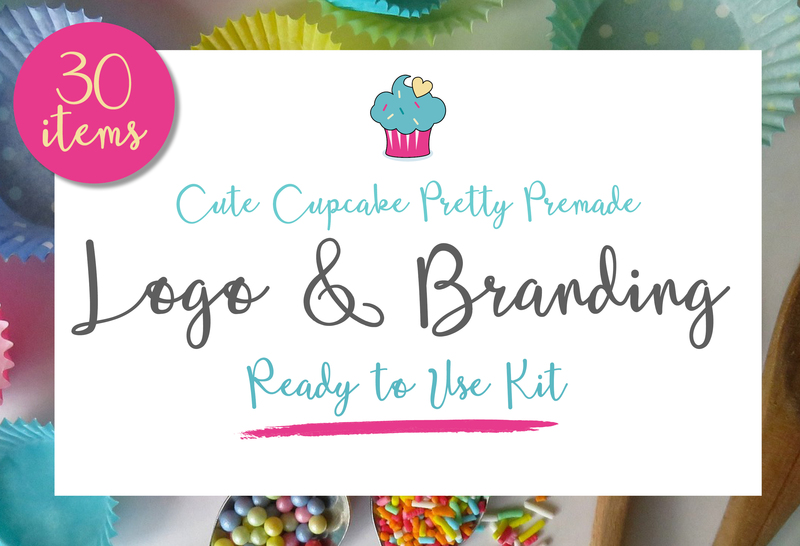 So what’s included in the premade branding logo kits? And you don’t need to stick to the fonts I’ve suggested either – you can choose one you already have bought, you can buy one or you can download for free from Font Squirrel or DaFont, making sure you select the 100% free option. Well, a premade branding and logo kit is just that. It designed by me using my creativity following no brief. 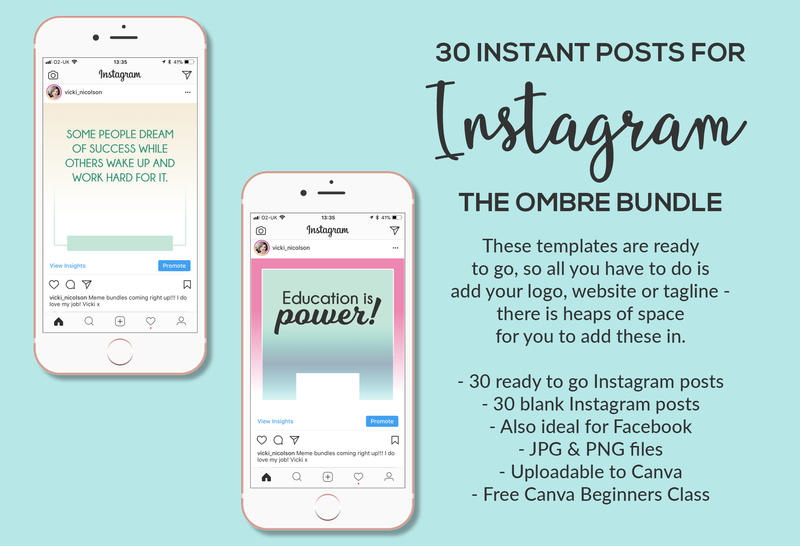 All you have to do from a client perspective is choose a kit, download, and create and design something wonderful yourself using software like PowerPoint, Canva or Picmonkey. You are the one that personalises the kit. It will be sold multiple times. But if you want you can have sole rights to one of your kits BUT only if it’s never been sold before. You can  contact me to discuss this. If you want to learn how to use Canva confidently and with ease then you can purchase my Create in Canva with Confidence course  to show you how to use your new branding kit to create your personal logo, add HEX codes, fonts, save your images and create eye-catching ebooks, FB ads, mockups. No stock photography is supplied with the kit but you can download images pixabay.com  which are 100% commercial free. You’ll see I’ve thought of everything for you. 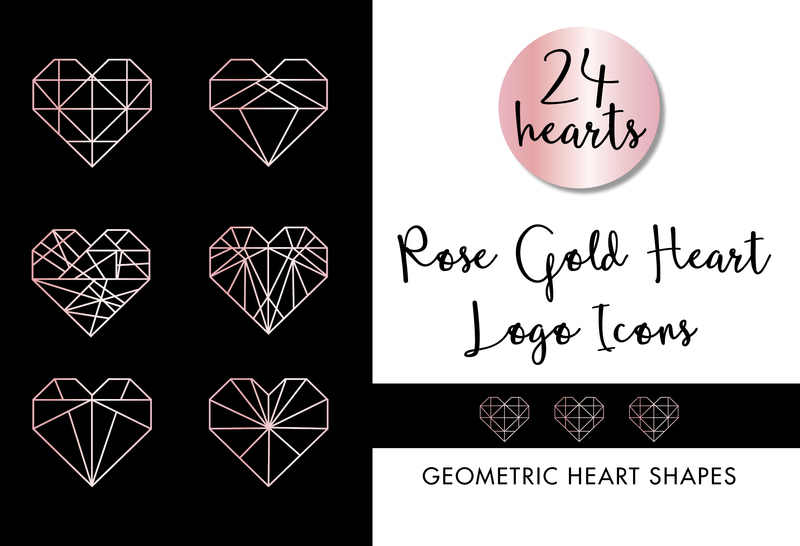 So if you are  just starting up, have a limited budget, want a gorgeous brand and logo now, want to be in control of your brand, want to feel pride in your business and you want to look like a pro instantly then come visit the shop and remember to follow me as I will be  adding new products all the time.